Kanban is a framework for implementing agile project management methods, right? 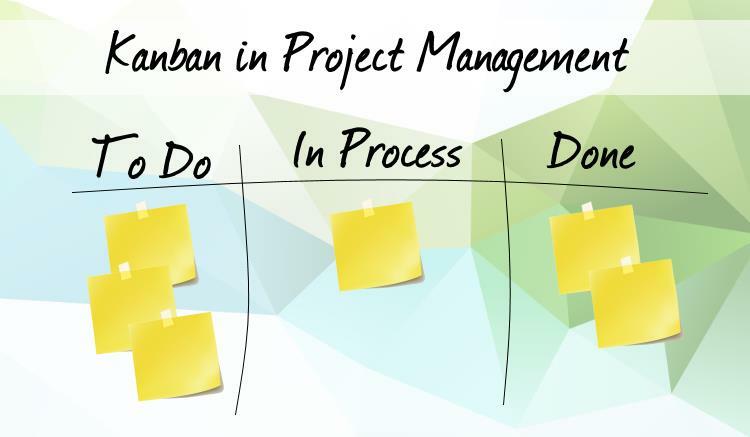 Yes and no – Kanban in project management can do more. Here is how it works and how it helps your team collaborate more efficiently on project tasks, even if you are not using agile methods. A very familiar idea stands behind the odd-sounding name. Back in the 1940s, Japanese manufacturer Toyota re-modelled its production process to resemble the concept that supermarkets use to stock their shelves. Whenever a shelf is out of products, it gets re-stocked. This way the supermarket’s inventory is always balanced and shoppers can always buy what they need. In the manufacturing context it means that the doors required to complete the car are delivered just-in-time to be added to the car body when needed – no overstock, no lag time. How does Kanban work for project management? In project management, Kanban does the same thing for teams. It matches the amount of work to the human resource capacities, ensuring that no one is overloaded with work. A balanced workload across the entire team helps make collaboration more effective, accelerating output and increasing flexibility in project planning. To Do: A new task you create will be added to the backlog of yet to be processed Kanban cards. In Progress: Once the team members start working on a task, they move the respective Kanban card to the middle column. Done: Completed tasks are moved to the far right column. You can, of course, adjust the categories to perfectly match the specific workflow in your projects and add as many intermediate steps as your work process requires. You should limit the amount of work in progress according to what your team’s capacities are, maintaining a balanced workload for every team member. Within the Kanban pull-system this means that team members can only “pull” a limited number of tasks at one time to work on. Having a customized work time calendar that reflects the actual capacities at the base of your resource planning makes it easy to ensure a balance resource utilization. Are frequent changes in priorities characteristic for your projects? Then Kanban is ideal for your team. Team members can pick a task from the backlog according to the project priorities – even as they are changing. The single work piece flow allows all the team members to focus on what is most important at any given point of the project lifecycle. The Kanban method hands more responsibility for the timely completion of the tasks to the team. This makes a lot of sense as the team has expert knowledge on how long a tasks will most likely take to be completed and can organize the workload accordingly. It is also a great motivator for the individual because it doesn’t assign work top down. Kanban isn’t limited to teams working within an agile framework. It helps teams that are organized according to traditional project management methods get the job done and maintain a balanced workload. If for example team members gets sick and can’t work on their tasks, other team members can easily jump in and continue working on the task with the highest priority. This way you can still keep your deadlines and your project plan even when being confronted by unexpected challenges. 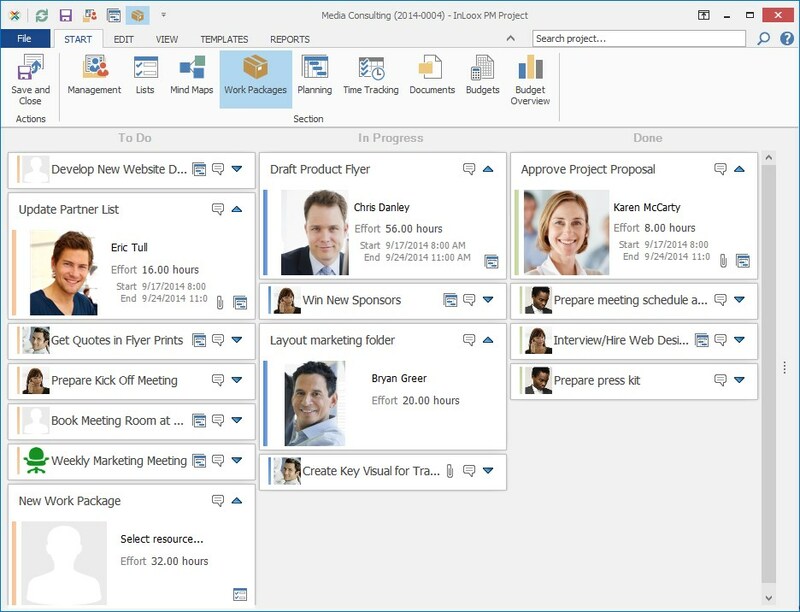 InLoox PM 8 for Outlook allows you to combine agile and classic project management techniques to accommodate your specific project needs. 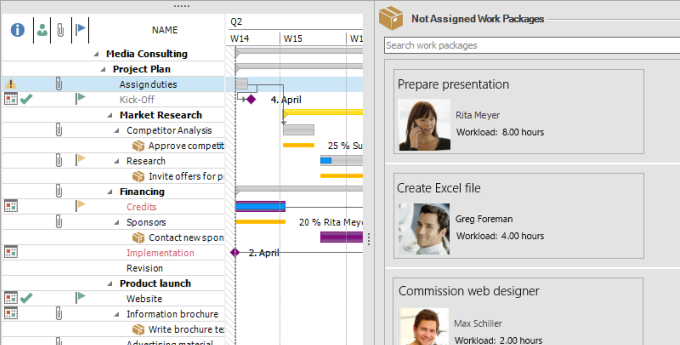 The project software integrates the Kanban method with its work management feature. You can customize the Kanban board columns to match your team’s specific workflow. It is not required to assign a resource or a deadline to a task. If you have team members with strong expertise in one area you can, however, assign a task to that specific resource. In order to accommodate a waterfall project management framework, you can add work packages to the project schedule in the interactive Gantt chart planner. 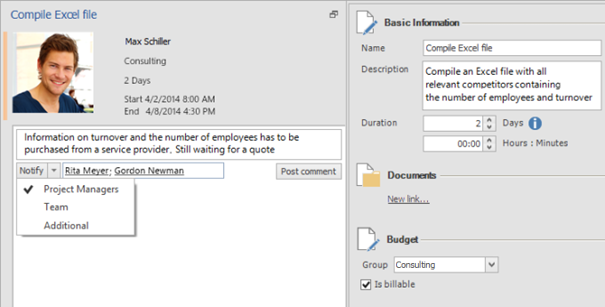 Simply drag and drop a task to add it to the relevant activity in your project plan. Your team will find the assigned tasks in the To Do column of the Kanban board and start working on it. Once they mark the task as completed on the Kanban board, the project plan is automatically updated. Project Management with Kanban Boards – What Project Teams can Learn form Japanese Manufacturing - InLoox • Copyright 1999-2019 © InLoox, Inc. All rights reserved.